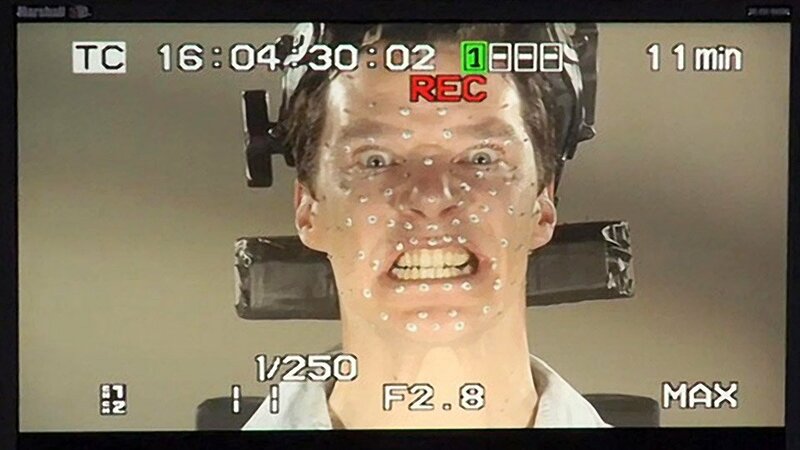 We should all know by now that the venerable actor Benedict Cumberbatch is providing the voice for the magnificent dragon, Smaug, in The Hobbit: The Desolation of Smaug. 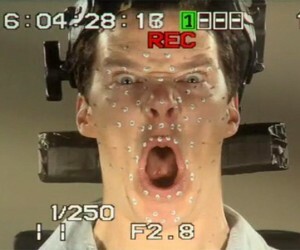 As it turns out, Mr. Cumberbatch also flexed his acting chops in motion capture for the dragon. 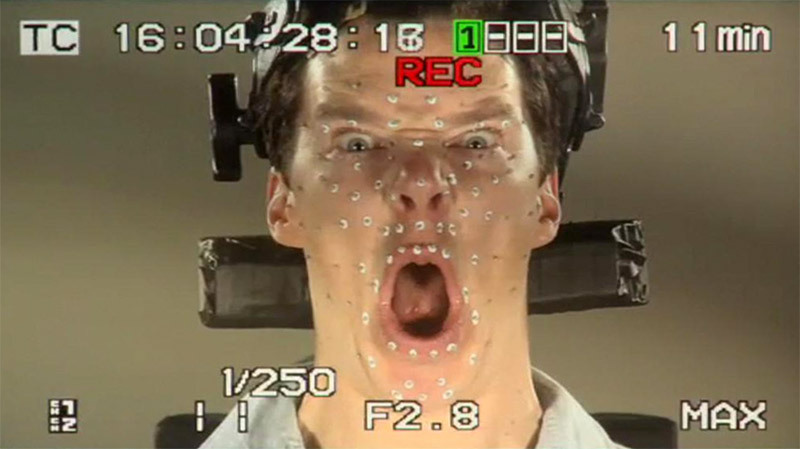 These images show the actor during filming. 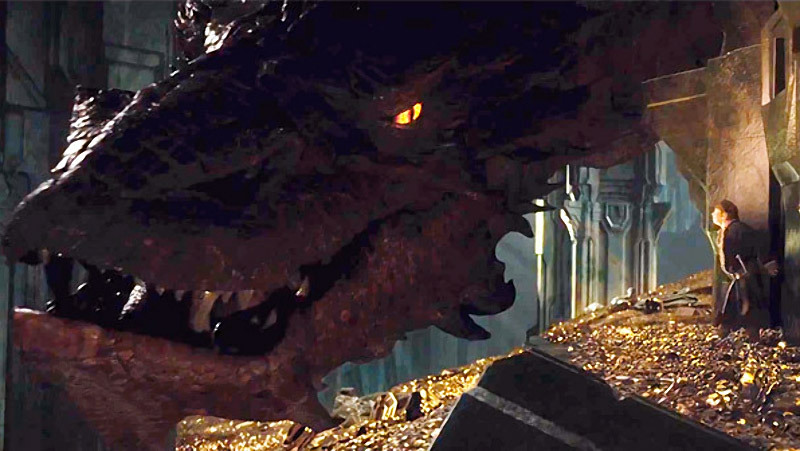 Spoiler alert: Smaug becomes absolutely livid when he learns that Bilbo has stolen a a single gold cup from his treasure trove. 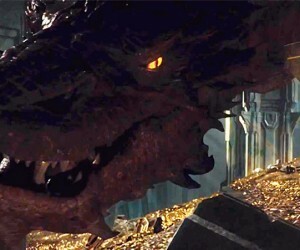 After sleeping on a giant bed of gold and jewels for centuries, Smaug the Magnificent is awoken from his slumber by a small Hobbit going by the name of Bilbo Baggins. The Hobbit: The Desolation of Smaug is the second film in the Peter Jackson trilogy based on the J.R.R. Tolkien novel and will be in theaters on December 13.